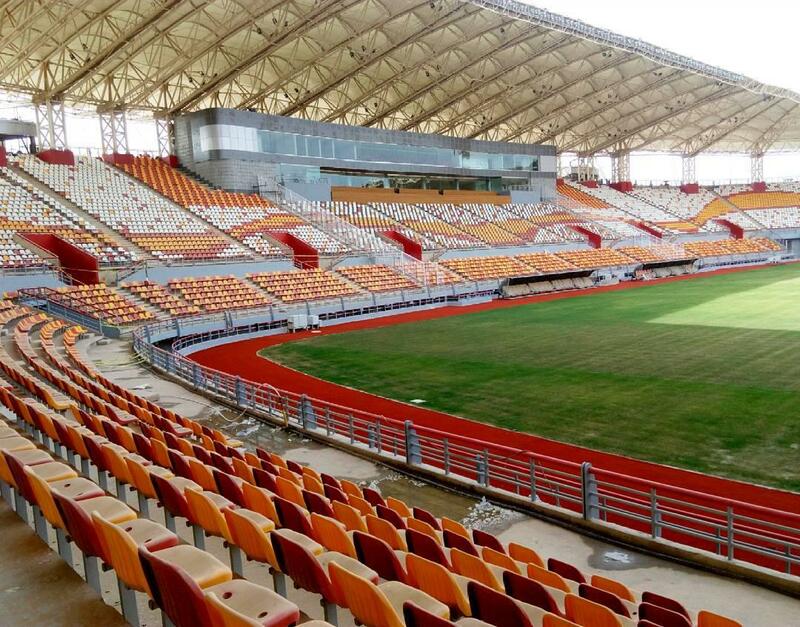 Out of all major stadia across Iran, only this one doesn't have a running track. It was opened by the country's vice-president and sports minister last year, though it's not their project. 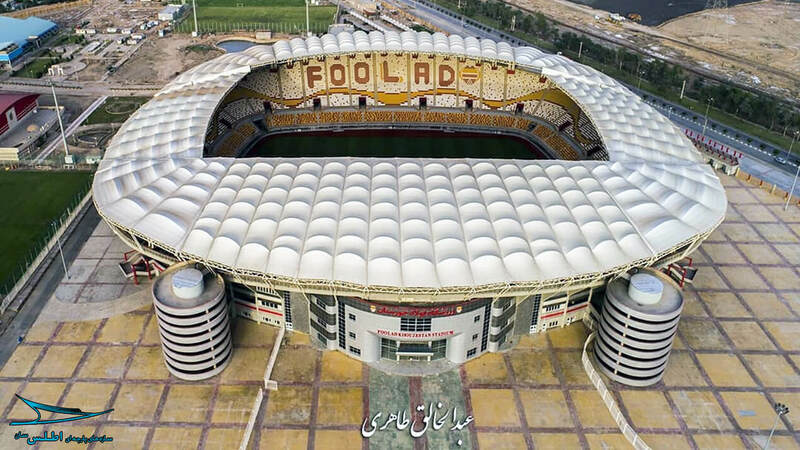 The private Foolad Arena took 10 years to deliver but outcome is more than satisfying. This investment in the east of Ahvaz managed to stay away from the spotlight even domestically in Iran, let alone internationally. It surfaced relatively late, especially that groundbreaking took place back in 2008. Enabling works began the previous year. So why is a project like that taking 10 years to complete and not be a conversation piece? Because it's a private project carried out by Khouzestan Steel, both the investor and contractor in this case – even if with support of the municipality and ministry of infrastructure. Gradual investments explain the slow construction pace. But if its price is true (estimated to be some $40 million in total, without surrounding infrastructure), it's a very economic effort indeed. Meanwhile, the stadium has already became famous for the push for quality. Floodlights allowing HD broadcast, LCD screens, luxurious furnishing within the main stand and on top of it all – literally – membrane roof (23,000 m2) imported from Europe's famous Serge Ferrari. But most notably, both for us and Iranian media, the stadium is the first professional football ground in Iran to have football-specific layout. It's perhaps not a truly 'rectangular' stadium but the seating bowl offers very decent sightlines to all visitors. The auditorium is surrounded by a single public concourse with toilets and catering facilities, while the west stand has 4 floors of facilities to meet highest FIFA requirements. 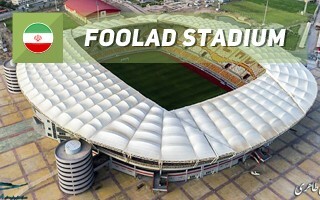 Lavishly furnished, the building is to be pride for decades to Foolad FC, the Khouzestan Steel-owned football club. Along with the stadium a 5-star hotel is being built, while the football team has three training fields beside the stadium, a large natatorium, gymnasium and even a small landscaped lake. In final layout up to 4,500 parking places are expected to be created within walking distance from the stadium, a number so high that we haven't been able to independently verify it. A metro rail station is also expected.